Cullentragh Mountain is the 530th highest place in Ireland. Picture from David-Guenot : Cullentragh as seen from the lower slopes of Mullacor. Picture: Cullentragh as seen from the lower slopes of Mullacor. A short detour on the way from Mullacor to Derrybawn. 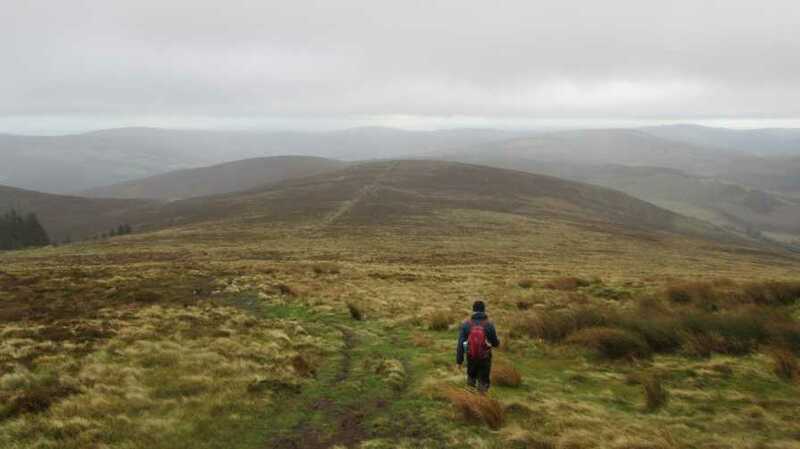 Added this hill to a Lugduff-Mullacor-Derrybawn loop in November 2015, the summit being only a few minutes away from our route. As seen on the picture, it looks more prominent than it actually is and both of our GPS agreed on less than 15m prominence with the col, although the altimeters were probably not accurately calibrated.